The new encoding and multiplexing solution from Rohde & Schwarz — R&S AVHE100 — offers the best video quality available on the market for HEVC-encoded content in HD to UHD resolution and will be on display with a variety of solutions and other highlights from the broadcast and media specialist during the NABSHOW in Las Vegas, in the South Lower Hall, booth SL1205. Rohde & Schwarz AVHE100 encoding and multiplexing solution. The integrated HEVC encoder was developed and licensed by the Fraunhofer Heinrich Hertz Institute (HHI). The Fraunhofer HHI was also instrumental in the development of the HEVC standard. The R&S AVHE100 is ideal for replacing existing encoder installations with more efficient devices. It can also be used in IPTV and cable networks as a large-scale headend system for transmission via satellite or terrestrial networks (DTT). In the fall of 2016, during a 4K summit in Seville, Spain, Rohde & Schwarz set up a complete terrestrial broadcast system for demonstration purposes. The core of the system was the statistical multiplexing offered by the R&S AVHE100. It was the first solution to broadcast three UHD services in 2160p50 resolution via a single DVB-T2 signal. The R&S AVHE100 is unique in that it can encode multiple video streams in UHD format and combine them into a statistically multiplexed signal. This efficient data rate utilization makes it possible to broadcast more programs and improve video quality. The transmission of premium channels in HDR is becoming increasingly important. HDR makes significantly more details visible in both light and dark areas of the screen. The R&S AVHE100 fully supports the HDR feature and has been successfully deployed in many tests. The R&S AVHE100 is a complete software-based platform that runs on standard IT components. Extensions and improvements to coding and broadcast standards are easily added. The integrated orchestration of the core functionality in the headend management system can replace an external management system in most scenarios, making the R&S AVHE100 a secure investment for the future – one that considerably reduces acquisition and operating expenses (CAPEX und OPEX). Optional multi-year service level agreements (SLA) fulfilled by the international service organization provide even more security. 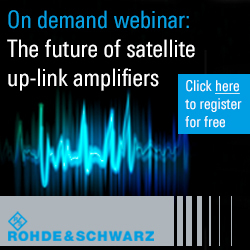 The decades of experience that the independent Rohde & Schwarz has gained in the broadcast industry can be seen in the smart redundancy concept and in the many reliability features that ensure high availability. The R&S CrossFlowIP function developed by Rohde & Schwarz provides uninterrupted signal switching of input and output signals during redundancy operation, enabling seamless signal switching during maintenance and in the event of faults without an external management system. The R&S AVHE100 encoding and multiplexing solution from Rohde & Schwarz supports the digital broadcast standards used around the world. Optional functions, such as encryption, monitoring and redundancy solutions (R&S CrossFlowIP), are available. The Fraunhofer HHI will present the latest innovations in the field of video coding at the Fraunhofer booth 6110 in the South Upper Hall.